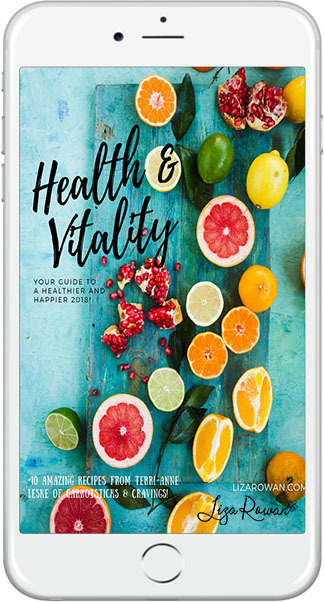 A 50+ page ebook for you to use, and to reflect on how you can make improvements to your wellness and lifestyle this year! Holistic Nutritionist, Founder of Health & Vitality Pte Ltd.
I’m passionate about educating, motivating and inspiring all of us to be healthier – by taking control of our own nutrition and other aspects of our wellbeing. I believe that optimum health is the foundation in helping us achieve our aspirations, and ultimately to lead happier, more fulfilled lives. In achieving this, I spent the past few years hosting corporate talks and presentations, group coaching and private consultations. With the success of her programs in Singapore, I offer my expertize internationally through Revitalize-in-5 online nutrition and lifestyle course.